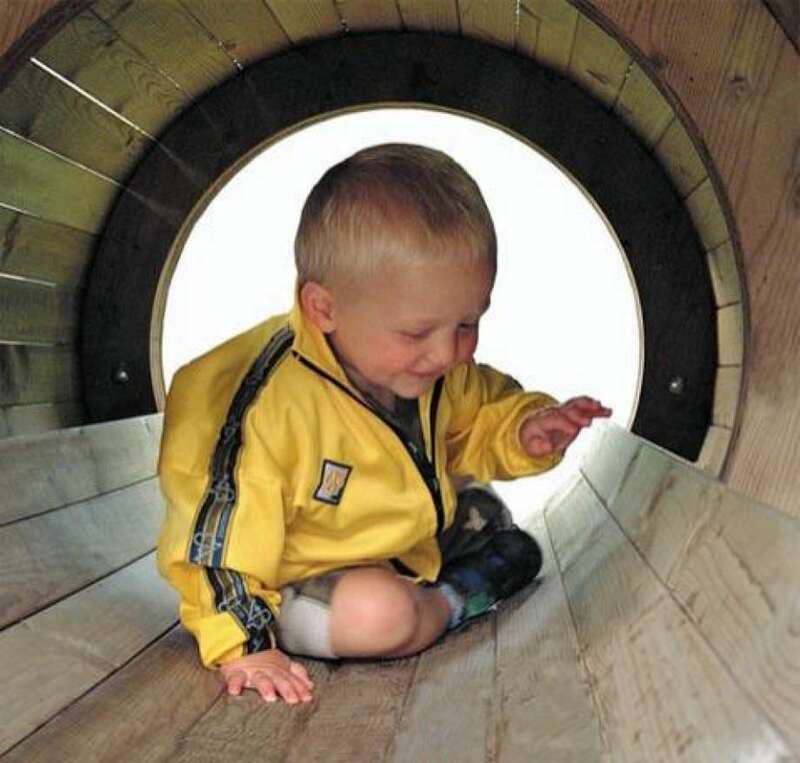 Static structure for collective play and socialization of children, it is composed by a tunnel that is lifted off the ground and has an inner walkway. The arch structure and floor are made of 35mm thick planks, planed and sanded with rounded edges. 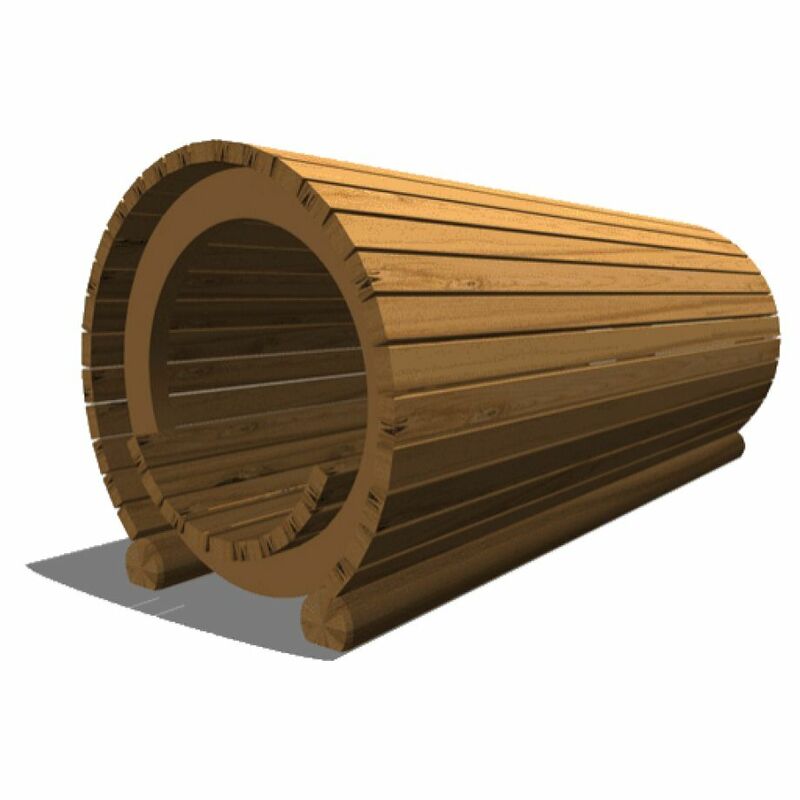 The tunnel is supported by two cylindrical pedestals 120 mm. Given its strength, the composition may also be used as a barrier or as climbing structure.